Since becoming a mom I’ve gotten a lot more realistic about about my wardrobe choices. Gone are the skirts that are so short I can’t pick up my toddler while wearing them…and gone are the shoes that are so uncomfortable that I can’t wear them for more than an hour. I’ve come to learn the importance of good basics and classic pieces. A carefully edited closet makes getting dress so much easier! I no longer have to stare in front of a mismatched wardrobe that isn’t comfortable or realistic for my lifestyle. Now, most of my everyday outfits are grounded with a stylish pair of wearable shoes. 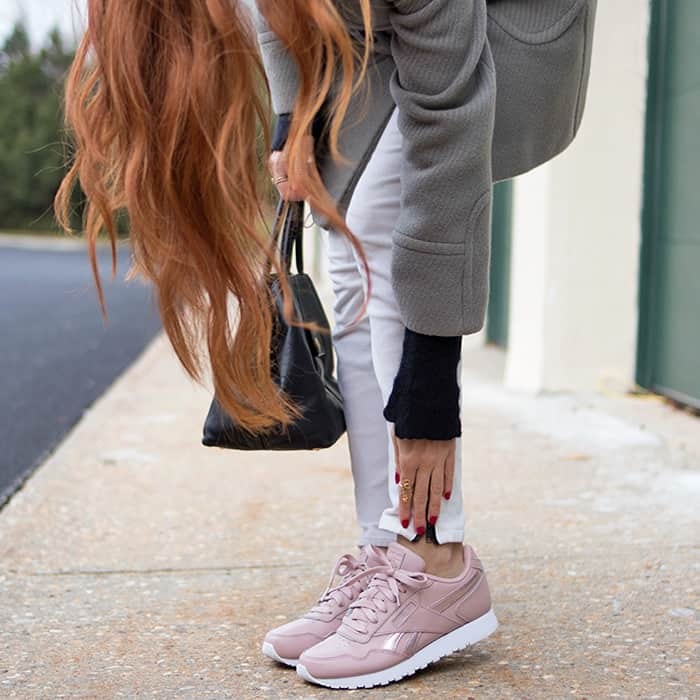 Today I teamed up with Reebok to give you a glimpse of their CL Harman Run shoes! Rose gold is having a moment and I totally love it! 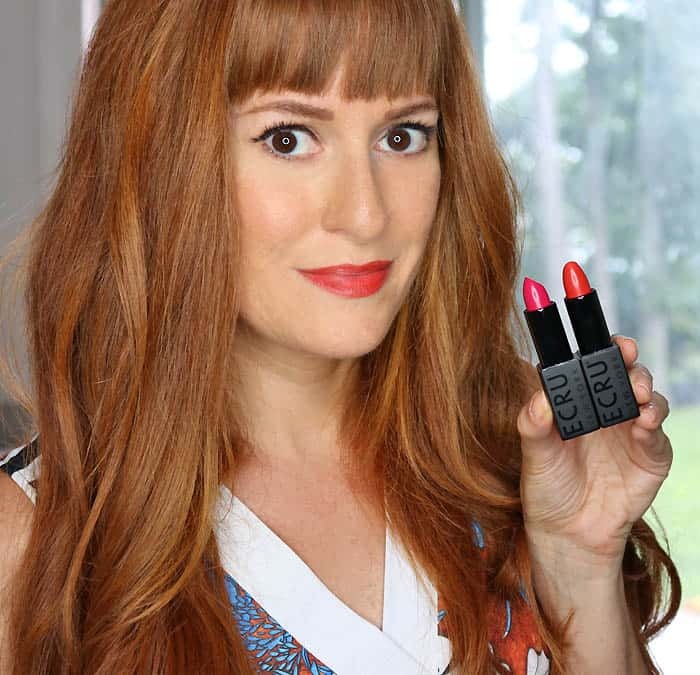 This pretty color has found it’s way into my jewelry and sunglasses collection…even my phone is rose gold! 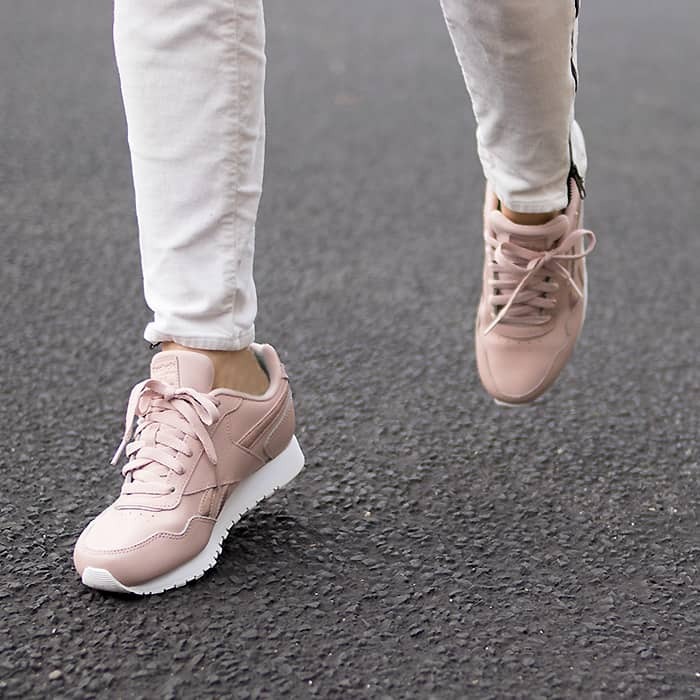 When I found out that the Reebok CL Harman came in rose gold, I did a little happy dance and ordered them right away from Famous Footwear. They arrived very fast and I’ve been reaching for them almost every time I get dressed! Not only are these shoes comfortable (they have a cushioned Ortholite® comfort footbed), they look great! The classic design works perfectly with tailored pieces. My go-to look has been pairing the CL Harman shoes with skinny pants and a fitted coat. It’s just as comfortable as athleisure wear, but I think it looks more polished. In the spring, I’d wear these with a casual skirt or dress. 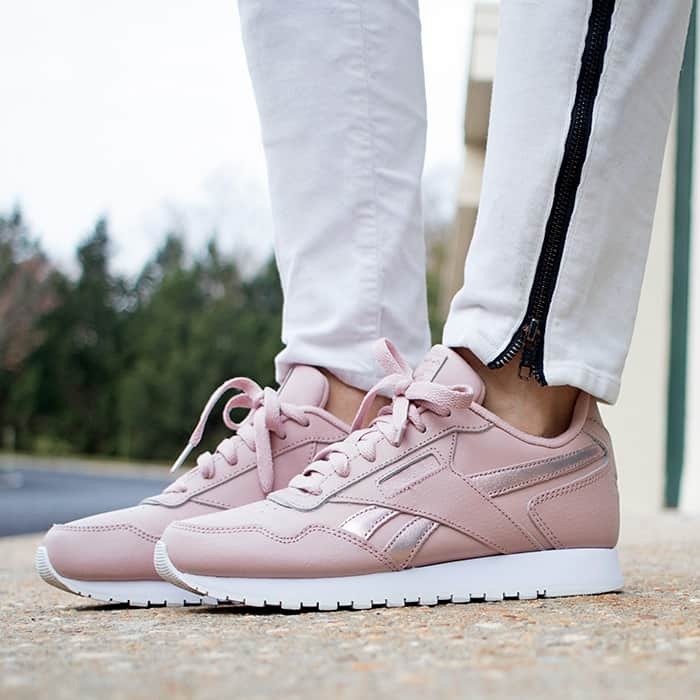 The Reebok CL Harman Run shoes are available online and in-store at Famous Footwear (the rose gold color is only available online). Click here to find a Famous Footwear near you. What are your favorite, classic pieces? I’d love to hear!